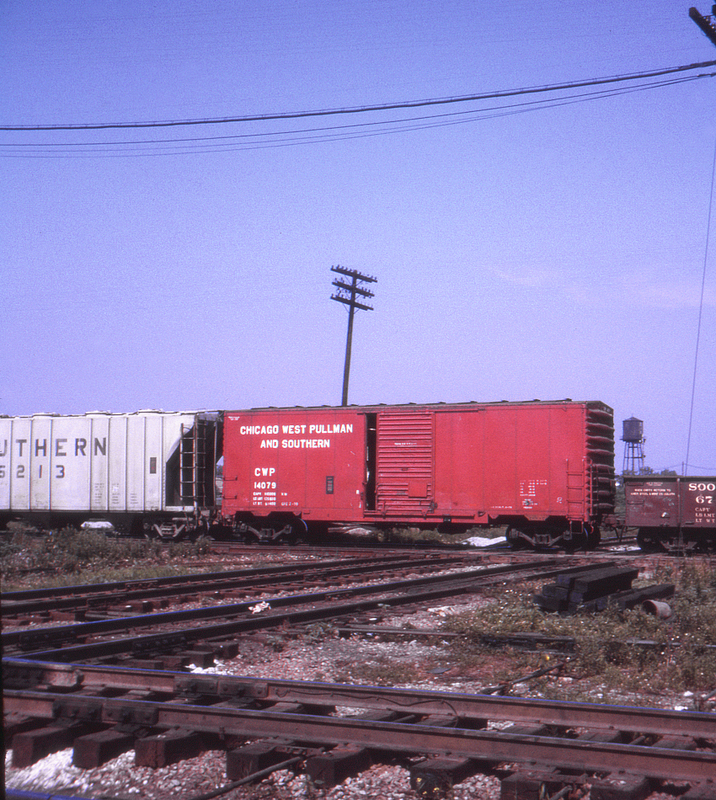 Boxcar watching today is a pretty uninteresting sport, but back in the seventies it featured an endless parade of unusual roads, such as this Chicago, West Pullman & Southern boxcar (no. 14079) seen at Forest Hill Crossing. Running between West Pullman and Irondale, Illinois, it was taken over by Chicago Rail Link (owned by Omnitrax) in 1996.